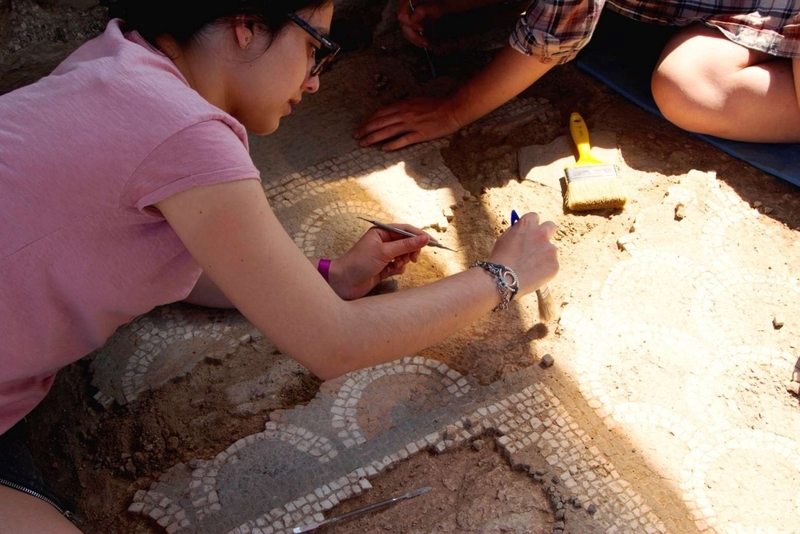 Period/s: Roman and Late Roman (1st c. BCE – 5th c. CE). 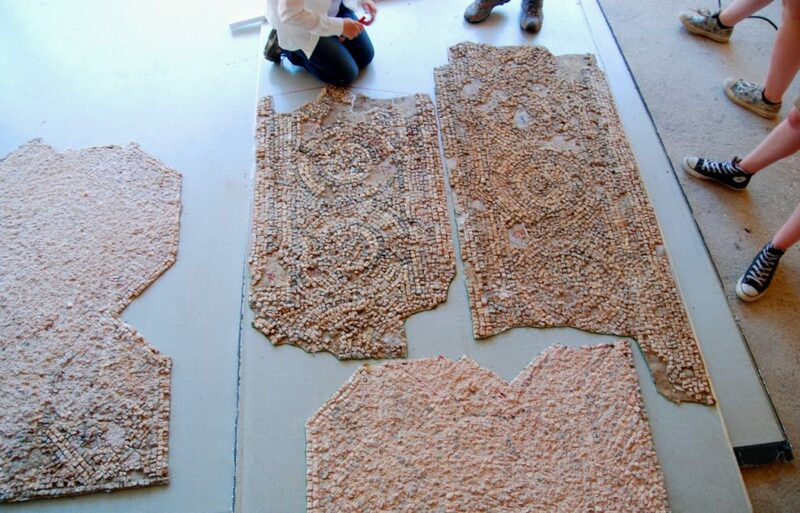 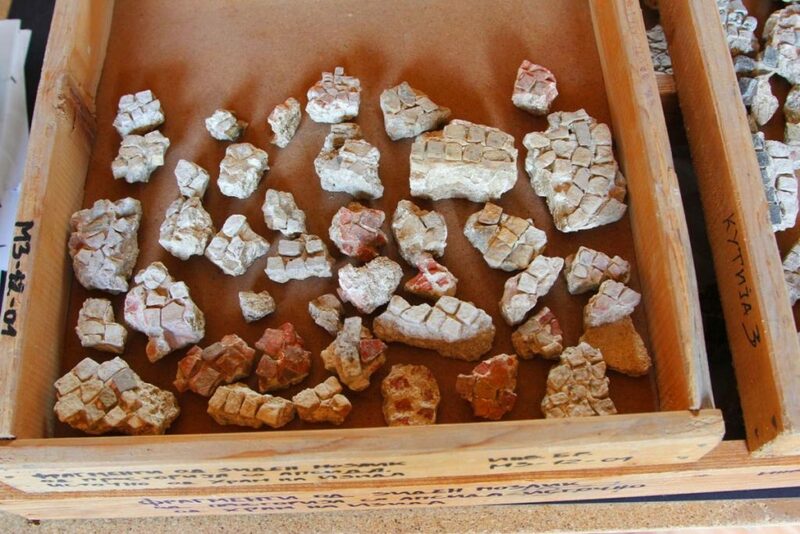 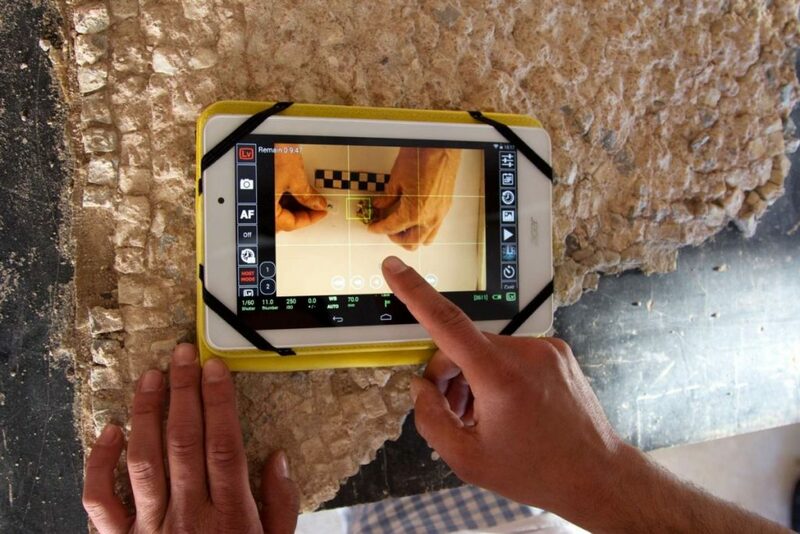 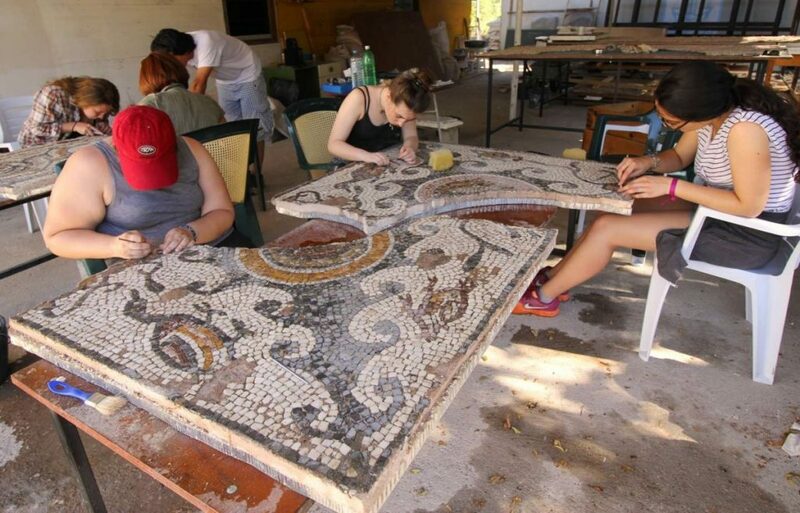 BHF contribution: Conserved more than 130 sq.m of floor mosaics, documented more than 50 sq. 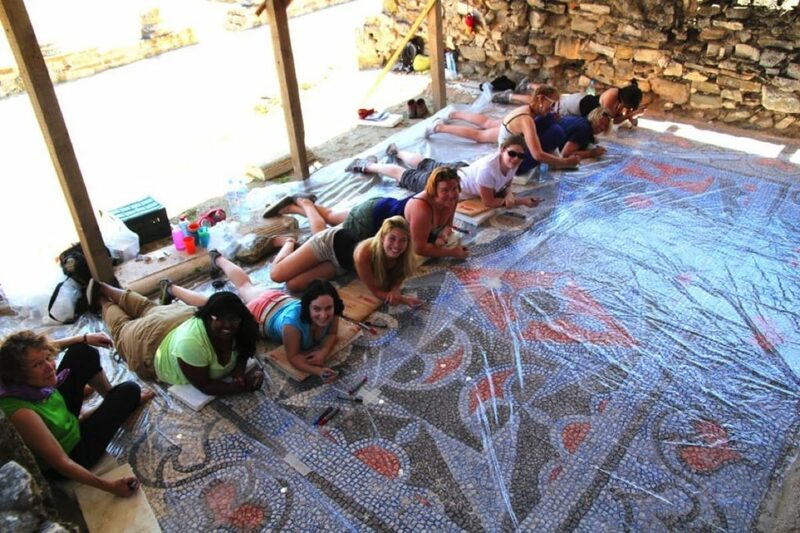 m of floor mosaics involving more than 75 volunteers and 7 team members. 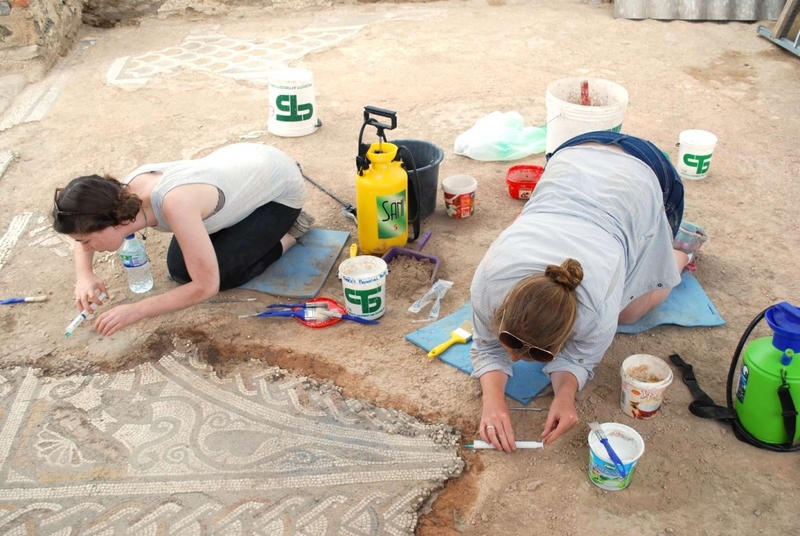 Among the conserved mosaics with BHF contributions are floor mosaics in the Theodosian Palace of Stobi (2014 and 2015), in the narthex of the Episcopal basilica (which is considered to be the oldest and most important Early Christian monument in the Republic of Macedonia), and in a late antique palace (so called “Casino”). 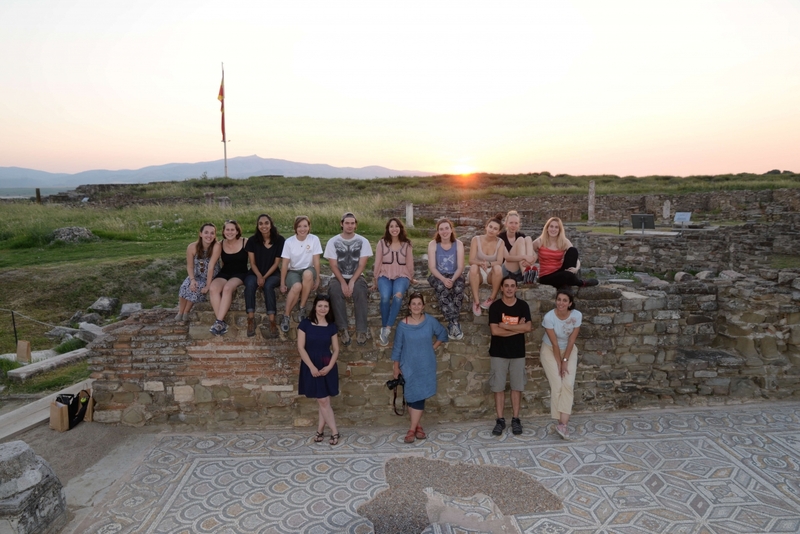 BHF project partners: National Institution Stobi (NI Stobi), Republic of Macedonia and Institute for Field Research, USA. 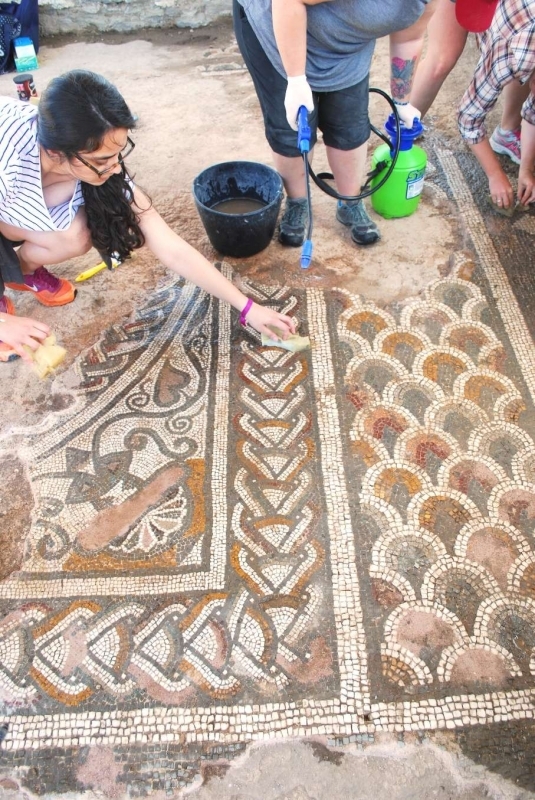 Project description: Approximately 1560 square meters of the excavated territory of the ancient city of Stobi are covered with entirely or partly preserved mosaics, dating mostly to between the 2nd and 6th century CE. 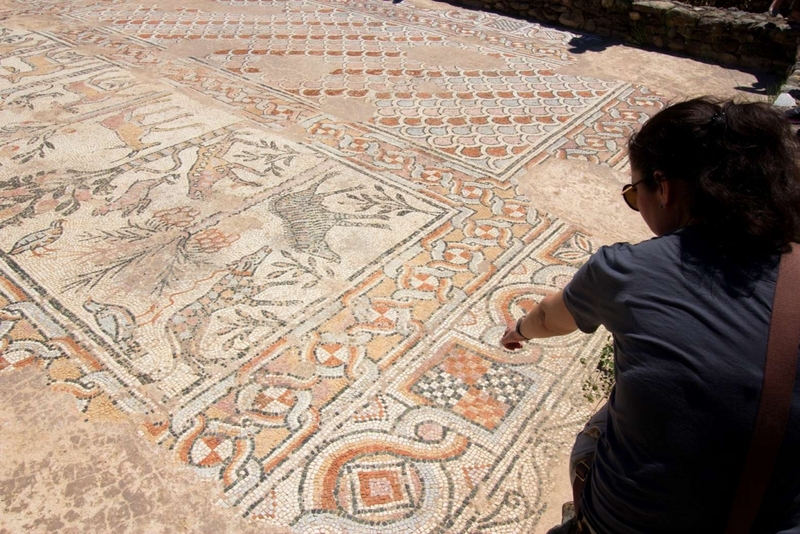 Most of them were discovered in the public or residential Roman and Late Roman buildings: the Episcopal Basilica, baptisterium of the Episcopal Basilica, the Extramural Basilica, the Theodosian Palace, the Synagogue II, the “Casino”, the House of Peristeria and the House of Polycharmos. 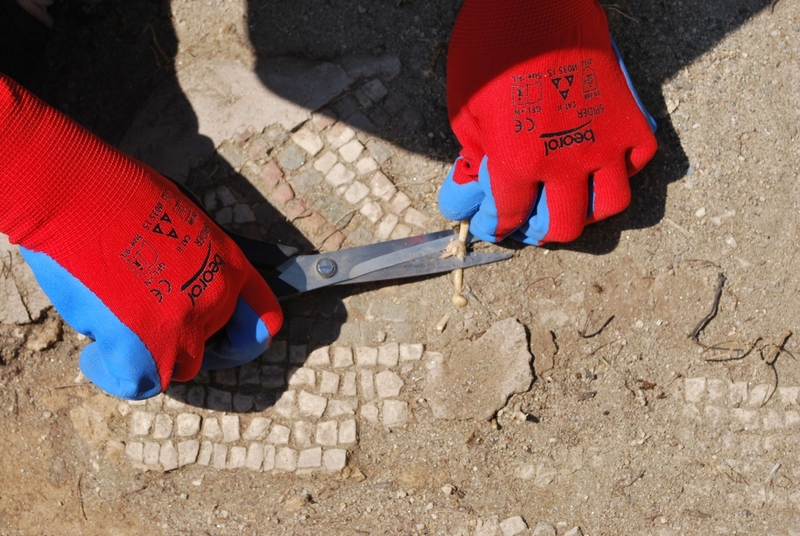 Variations of geometric, floral and animal motifs are represented in the most popular ancient mosaic techniques: opus tesselatum, opus sectile as well as opus barbaricum and opus vermiculatum. 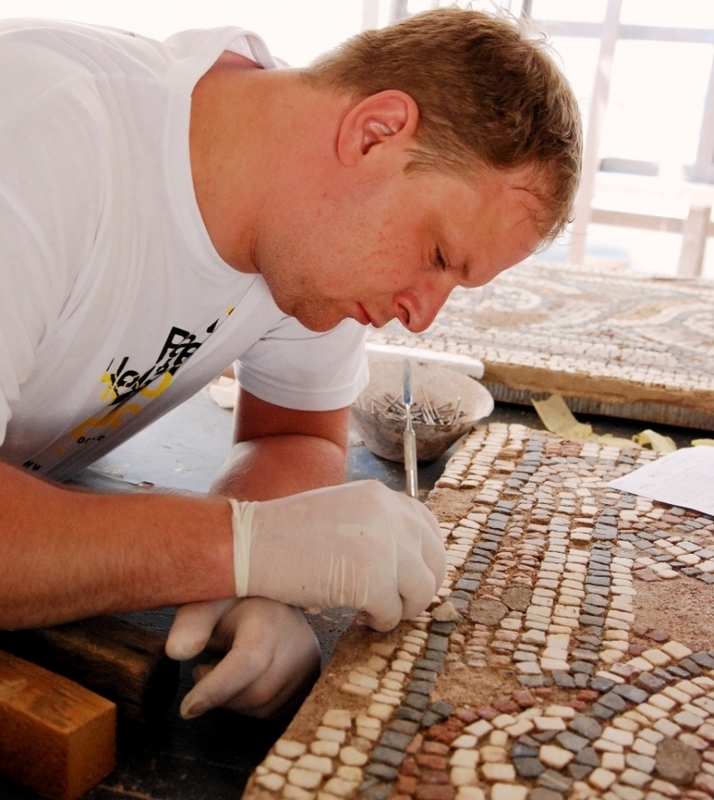 The first preventive conservation of the mosaics in Stobi began in the 1930s and continued sporadically in the following decades. 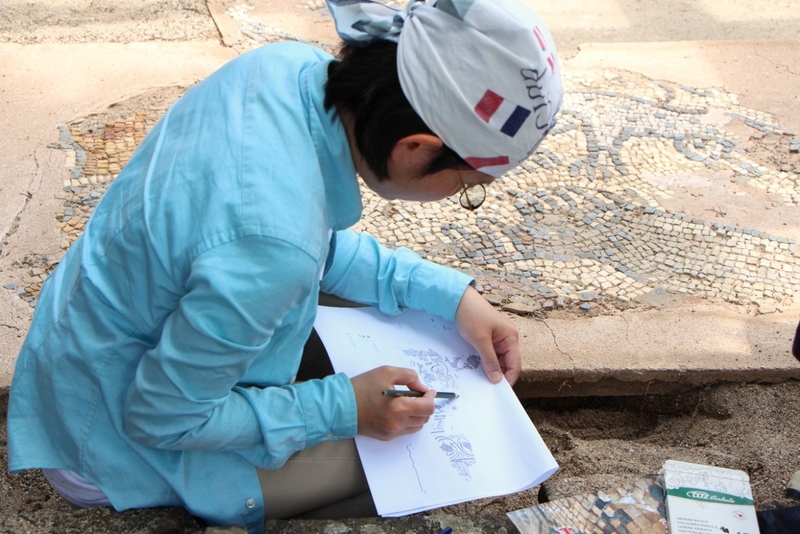 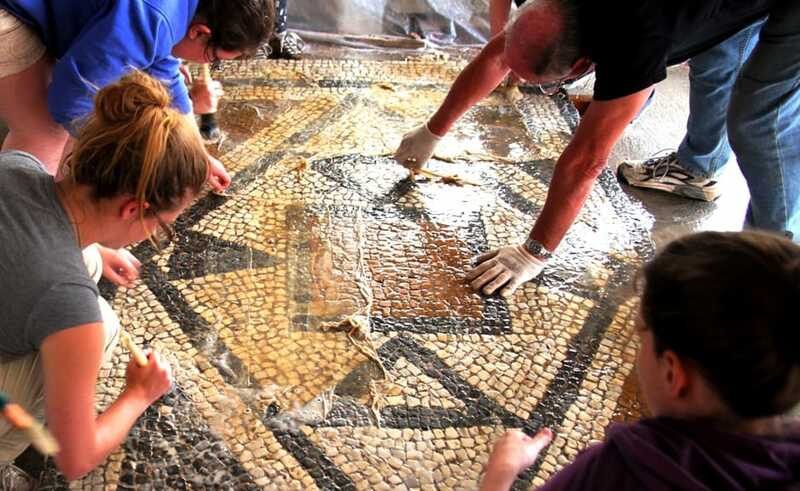 Today, many of the mosaics require urgent conservation and preservation due to damage caused by the weather and lack of proper and consistent maintenance over the past decades. 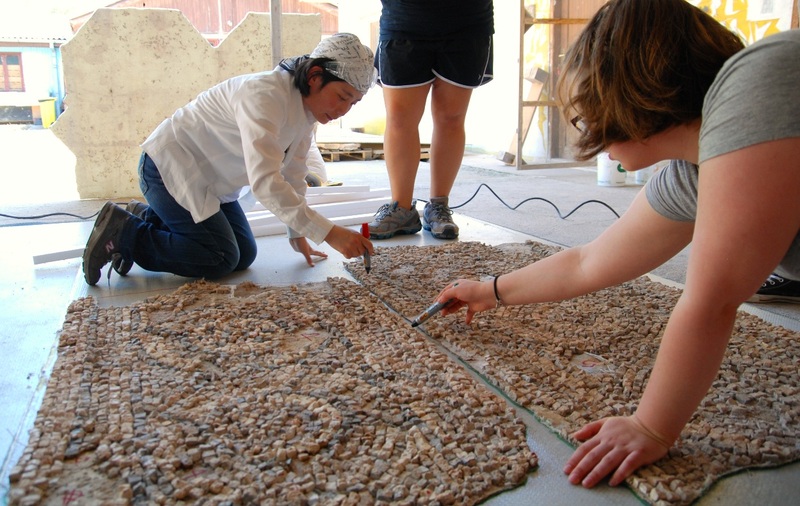 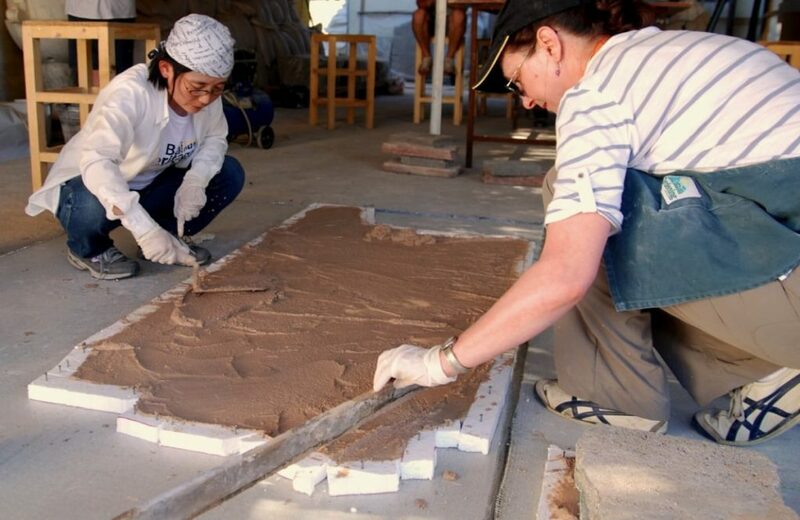 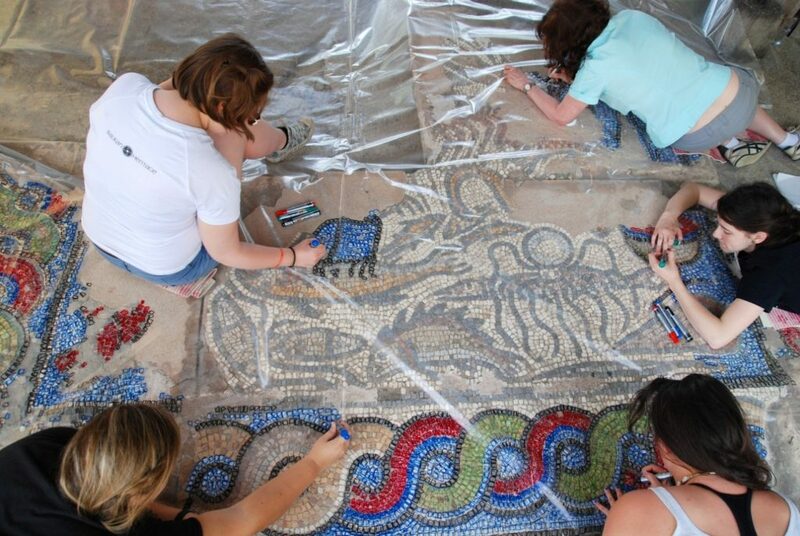 In 2009, NI Stobi started a long-term program for the complete conservation and exhibition of the mosaics at Stobi. 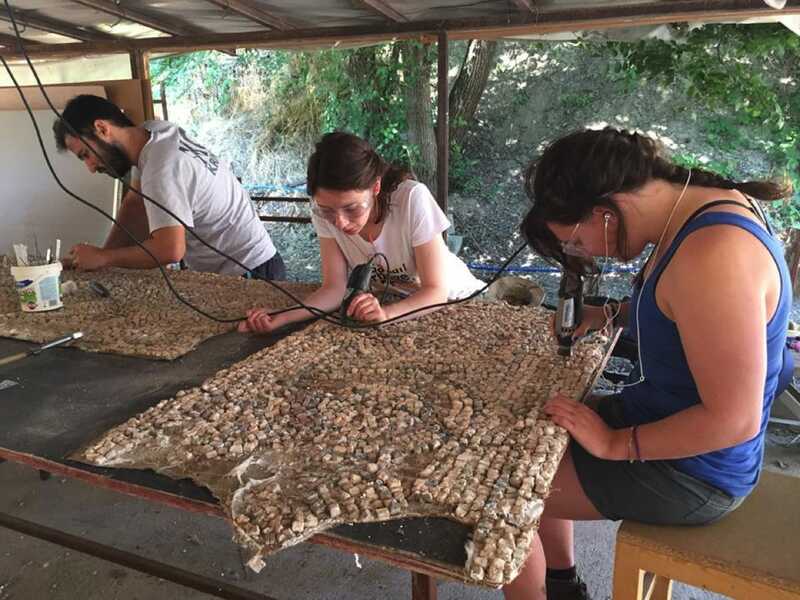 BHF contributes to this program through fundraising and involvement of specialists, students and volunteers from all over the world and significantly facilitates the conservation of some of the endangered mosaics. 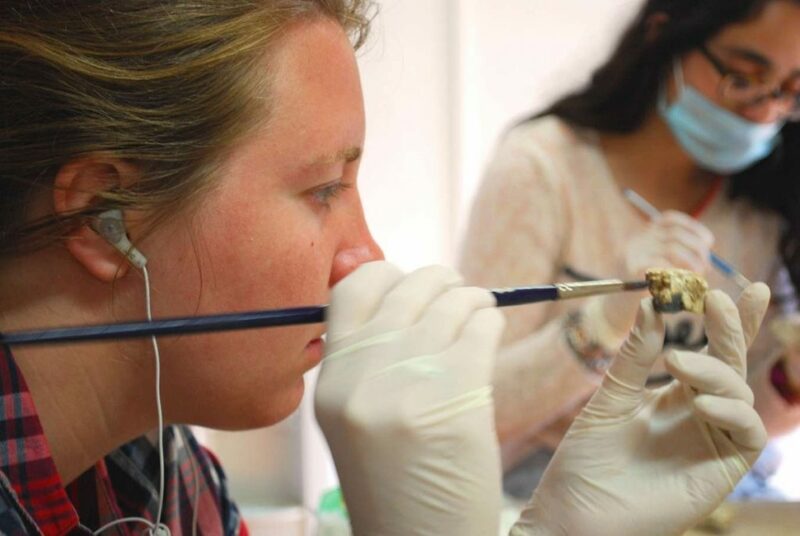 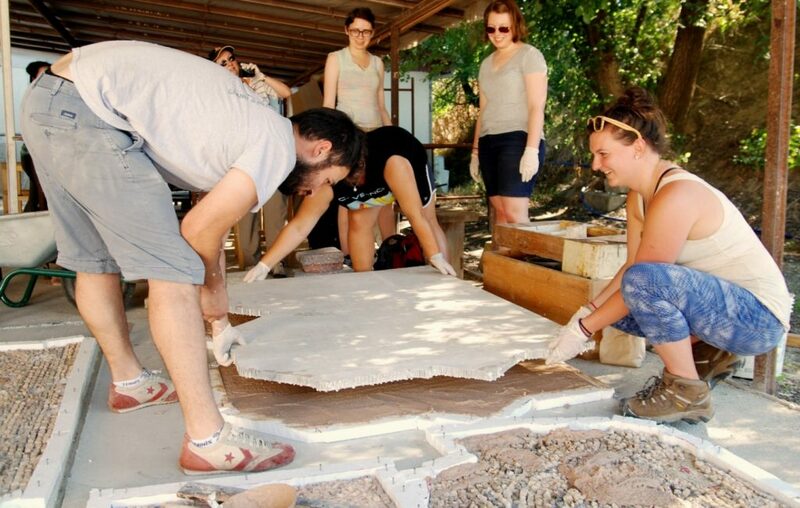 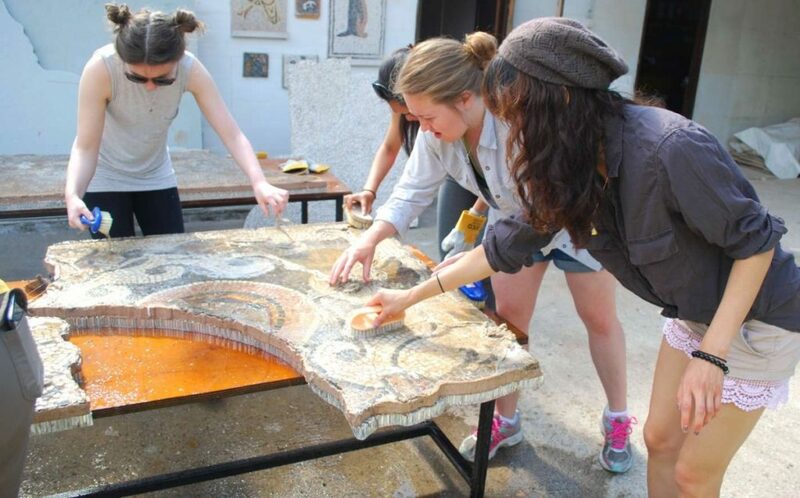 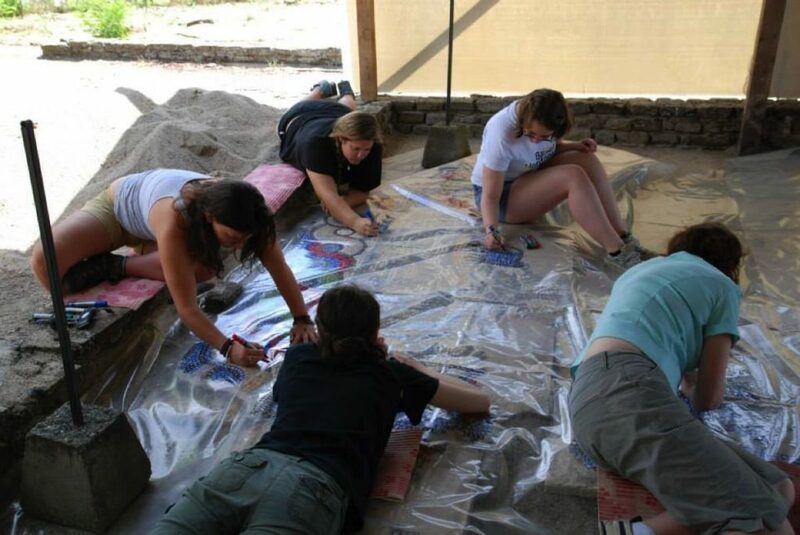 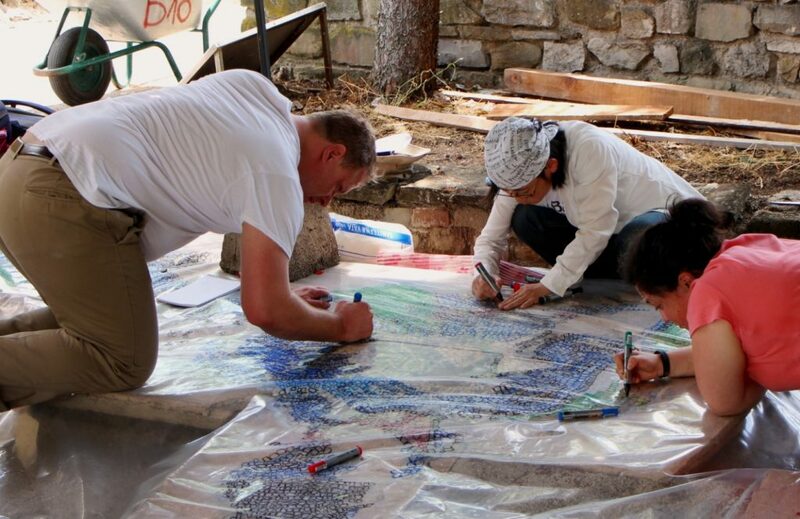 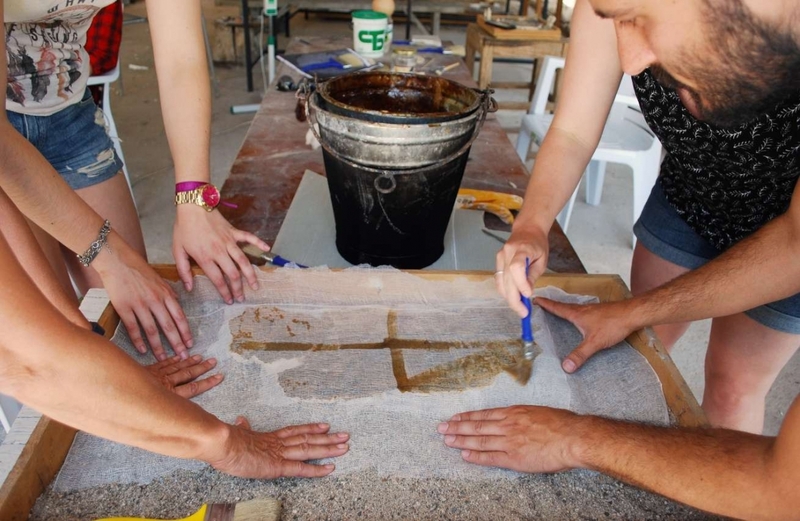 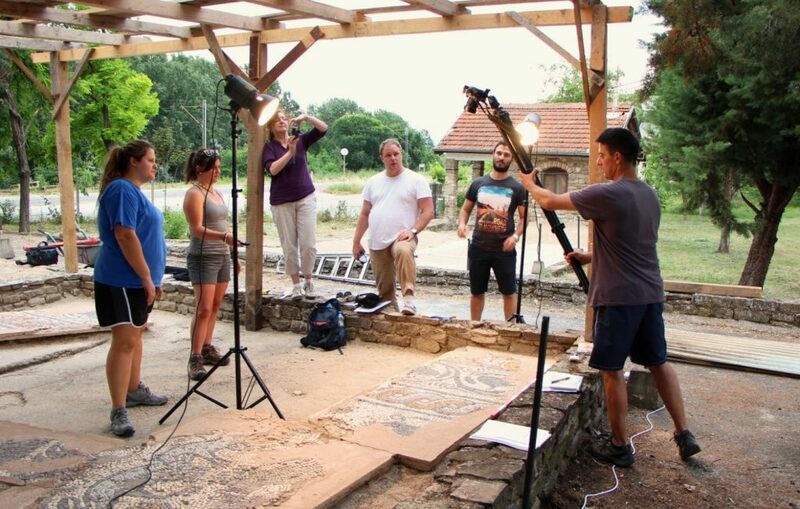 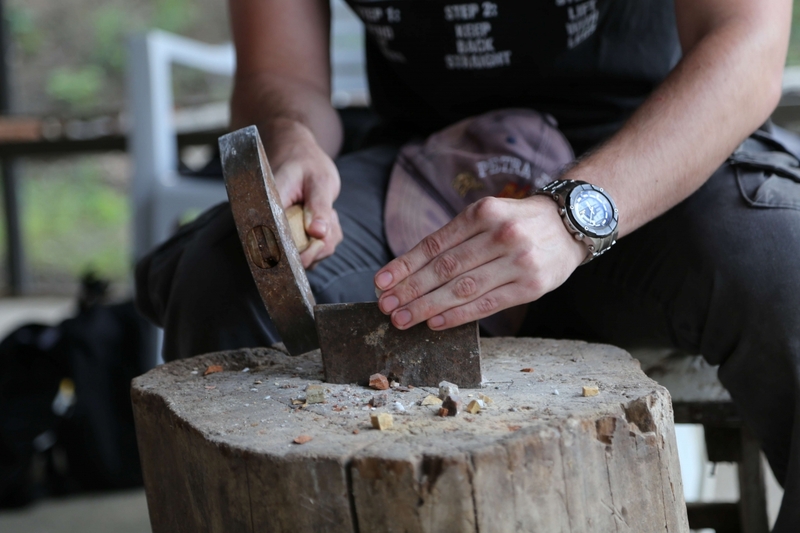 On an annual basis, NI Stobi and BHF conduct the Workshop for Conservation and Restoration of Roman Mosaics which is part of the Balkan Heritage Field School, an educational program of BHF. 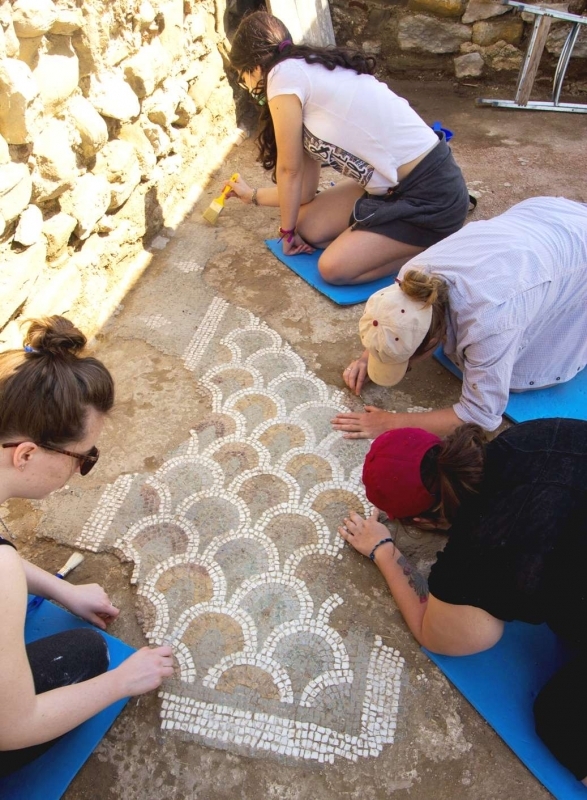 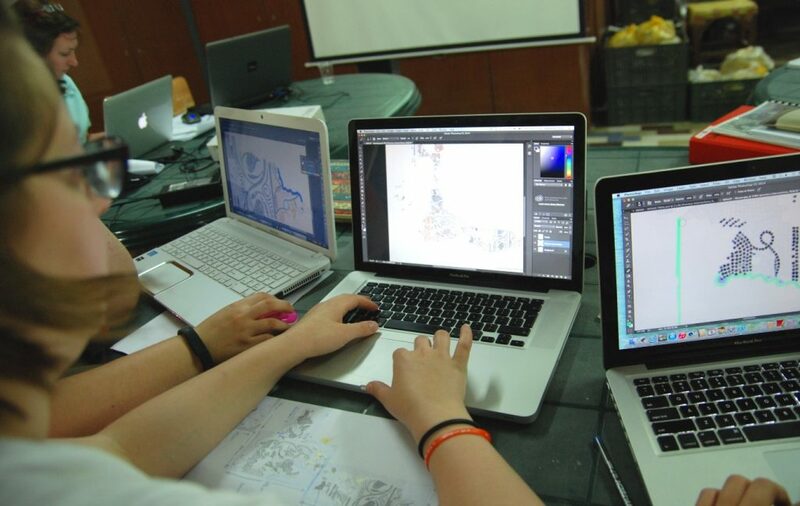 The field school is ongoing project open for participants with interests in conservation and restoration, Classical Archaeology, Museology, Art History, etc. 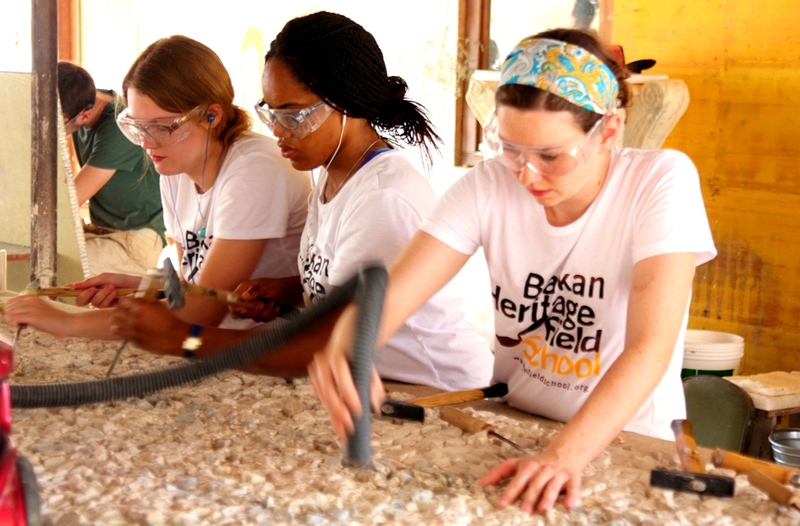 For more information visit BHFS website.